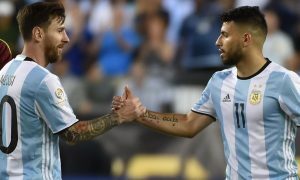 Manchester City centre-back, Nicolás Otamendi, was recently linked with a high-profile move to Real Madrid by a top news source in Argentina. TyC Sports reported that Otamendi was one of the candidates being considered to replace veteran defender Pepe, who turns 34 on Sunday, and is strongly tipped to join Manuel Pellegrini’s Hebei China Fortune in the summer. “Nico has a profile similar to that of Pepe, who will leave at the end of the season. Madrid has followed him since his time at Valencia, as have Barcelona. “He is happy at Manchester City, but who wouldn’t like to play for Real Madrid, the biggest team in the world? As expected, Sendoa did not close the door on a move to Santiago Bernabéu for Otamendi, who was on the agenda of Real Madrid in 2015 before he joined Manchester City for £28.5 million. Capable of great performances but also acts of recklessness, Otamendi has blown hot and cold since he arrived at the Etihad, but has been a central part of Pep Guardiola’s plans this season, starting 19 of City’s 25 Premier League games. Could Nico leave in the summer? Pep is expected to add at least one new centre-back, with the likes of Virgil van Dijk, Aymeric Laporte and Lucas Hernández linked, but with Vincent Kompany’s injury woes continuing, Guardiola may be reluctant to part with his only other natural veteran centre-back.